A handmade pallet compost bin. 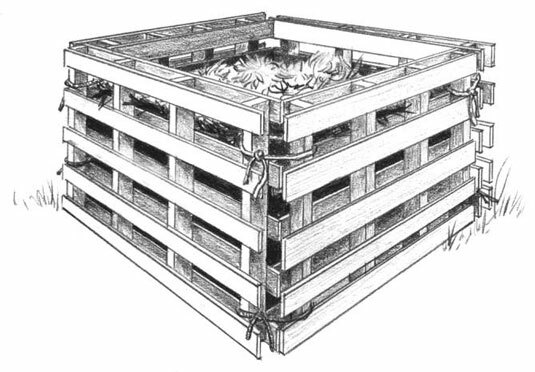 Compost bins can be homemade with simple materials, such as stacked pallets as shown. 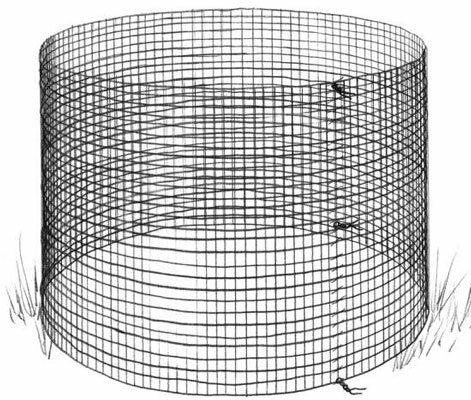 Another easy compost bin to make is to use half-inch wire hardware cloth in a 12-foot length, which can be wrapped in a circle and held together with a hook and eye at the top and bottom. A commercial stacking compost bin. You can also find plans on the Internet for making various types of compost bins, or manufactured bins available for sale at nurseries and by mail order. Check with your city to see whether they subsidize a compost bin program. A lot of progressive cities and towns encourage their citizens to compost by offering such a program. 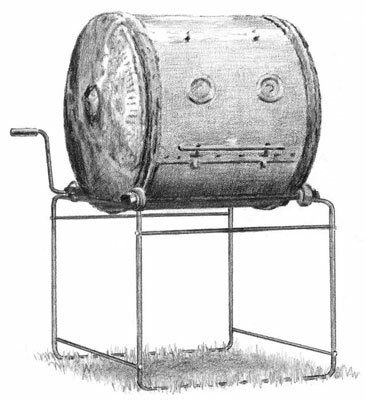 A commercial turning compost bin. The best compost bin is the one that is convenient, fits your budget, and works best for you. 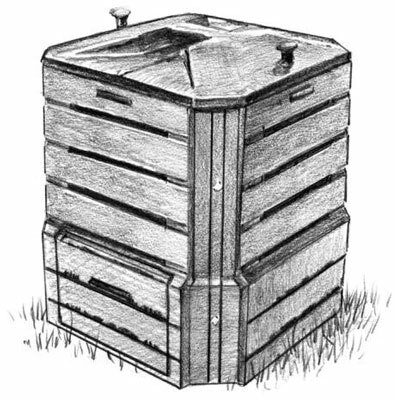 The many types of compost bins illustrated all do a wonderful job of collecting your many layers, and garnish the same end result — a beautiful humus material.